We offer several programs that meet the varying developmental stages of children from 2.9 years to 6 years. Children are continuously stimulated and encouraged to continue building on their accumulated level of learning. Age: 3 years old by October 2nd. Meets: Tuesday and Thursday from 9:00 to 11:30 am. Age: 4 years old by September 2nd. Meets: Monday, Wednesday and Friday from 9:00 am to noon. Notes: We offer tuition discounts to families with multiple children enrolled. Children need not be fully potty-trained (except for Summer Camp). Available for younger siblings while parents co-op, the nursery is staffed by parents. 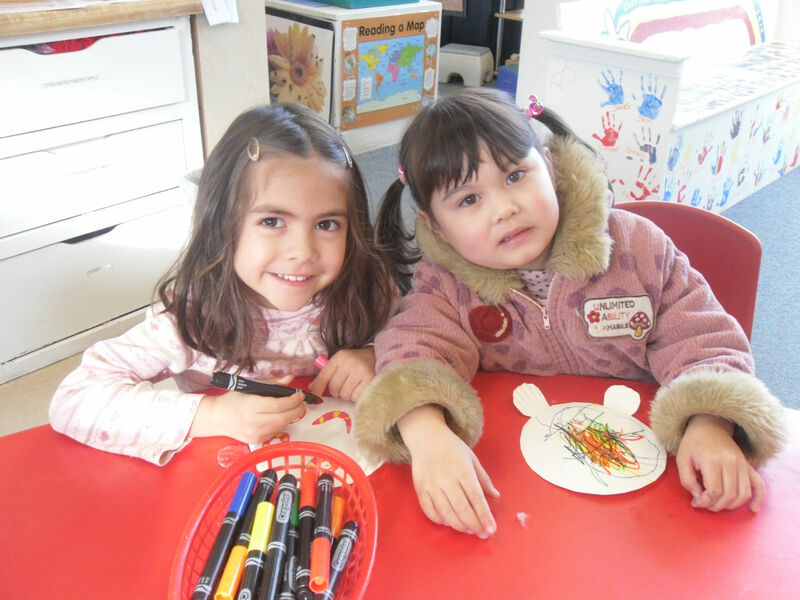 Nursery families will have about 1 additional shift per month, to staff the nursery. Geared towards the older PreKindergarten child, Enrichment provides an opportunity for the children and Teacher Dee Dee to work on in-depth projects. Ask for current schedule and pricing information. Full of water play, science fun and art activities, summer camp is a blast! It runs for 4 weeks (generally July), Tue, Wed Thu. It is a multi-aged program, age 2.9 through first grade entry. Children must be potty-trained for summer camp. Call for schedule and pricing details. *Cash or Check Payable to "Clayton Valley Parent Preschool"
*Venmo: Search for our username (@ClaytonValleyParentPreschool) or email (cvppuser@gmail.com) on the app/website and request to be connected. Once connected use the "Pay or Request" button to send your tuition amount. Make sure to include your child's name and class in the "What's it for?" option so that I can correctly apply your payment. Clayton Valley Parent Preschool is a non-profit organization and is licensed by the State of California Social Services Department, fully complying with all local and state laws concerning child care and school facilities. CVPP is open to all members of the community and does not discriminate against any individuals or families on the basis of race, religion, color, creed, national or ethnic origin, marital or parental status, or handicap.